And we aren’t just talking about people sitting behind the scenes orchestrating whatever is happening on the floor. There’s only so much a manager or restaurateur can do on the actual groundwork. We’re talking about the wait staff – the people who get first-hand interaction with your customers, the ones who get closest to how customers experience your food service. Serving goes beyond bringing orders and checks or pulling out chairs. That’s just one component of a good server. Their biggest and most important responsibility is bringing to the customer the kind and quality of service you want your brand to be known for. With almost the entire burden of customer service resting on their shoulders, what exactly could you do to make sure that your customers are happy with your wait staff? As with any relationship, the key to a successful customer-wait staff relationship is emotional connection. Customers who are engaged and emotionally connected to a restaurant do not just become returning customers; they also spend 33% more on their purchases and more importantly, they are more likely to go out of their way to give your business a good word in their personal networks. The bigger question here, and essentially the answer to the question of how to make your customers love your wait staff, is how to create and maintain this emotional connection. Simple: it’s all about making your customer feel valued. And contrary to how bureaucratic and magnanimous it sounds, achieving this lies in the smallest and simplest of things. 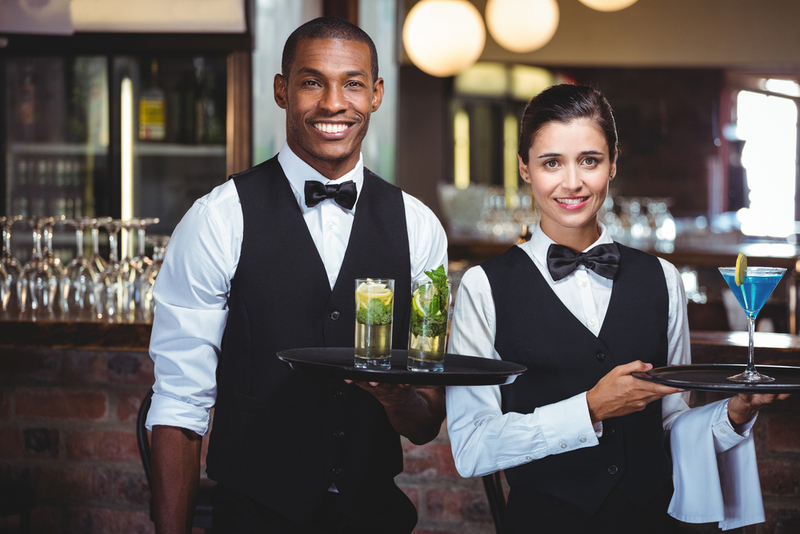 We have some tips on how your wait staff can make your customers feel more valued. 1. Look happy to serve them. We’ve never come across anyone who wants to see his/her server looking unhappy to serve them. A customer must always feel welcomed in your restaurant, regardless of whether your restaurant is formal, casual, or a fast-food place. This means greeting customers with a genuine smile, with the familiarity and fondness of an old friend without necessarily breaking service protocols. This includes asking how they are, how the food is, and if they need anything more. Returning customers will especially appreciate if you remember their frequent orders, personal preferences that they’ve mentioned in the past, or acknowledge them by name. 2. Be fully knowledgeable about your menu. Knowing your menu well means not merely making recommendations or answering basic questions about what certain dishes taste like. When you know your menu, you can easily warn customers of possible allergy triggers, or how appropriate dishes are for different customers (e.g. children). While this is a basic thing in fine dining restaurants, many casual dining places find table etiquette a challenging, somewhat unimportant trait. But knowing your basic table etiquette, like how to clear away dishes and how to deliver food, are basic know-how that is useful and fully appreciated in any dining establishment. 4. Be attentive but don’t hover. There is a fine line that divides attentiveness and hovering in the restaurant setting. Being mindful and prompt about the customers’ needs and asking about their experience is fully appreciated, but staying too close or asking too many questions – especially mid-meal – is completely frowned upon. This also means knowing when to enter the scene. The last thing you want to do is to interrupt a conversation or ruin a mood by butting in with a list of specials. It is one thing to ask customers how they’re doing or how the meals taste. It is another to actually listen to what they have to say. A customer feels most valued at a restaurant when their opinions are valued as much as their money. Make sure to offer amends when things aren’t right and be appreciative of compliments. There is a whole list of things that irk restaurant diners, but amongst those that rank highest are servers who are extra nice around the time the tip is dropped. This makes customers feel valued only for their money! Diners appreciate consistency and often perceive it as sincerity. Keep the hair and nails clean. Don’t smell like cigarette, alcohol, or any strong perfume so you don’t bother customers and interfere with how they experience the food. And most importantly, make sure that uniforms and aprons are clean, neat, and well-ironed at all times. Clean uniforms on the wait staff are a testament of attention to detail and that is always a win in the customers’ hearts. With so much to do to and take care of, maintaining wait staff uniforms can be easily put aside and neglected. Don’t make that mistake. Partner with a reliable, professional restaurant uniform service expert! Partner with Coast Linen Services. We have a wide of restaurant uniforms to match and elevate your brand’s image. Connect with us today to learn more about how we can help you find ways to make your customers love your wait staff!